If you're looking for a set of premium alloy bow shackles to assist your next lifting job, you've come to the right place. We have a huge range of green pin shackles, that are available as a screw pin, or for added security, is provided with a safety pin for further defence against the shackle loosening. Our green pin shackles have been manufactured by Van Beest who are the leading manufacturers of shackles, chains and ropes; and are known for their superior quality. These alloy bow shackles can be used with a variety of different slings, and will provide a safe and secure attachment point between the sling and the load the requires lifting.  These shackles are available in a range of Working Load Limits (WLL). If you require any help with purchasing or hiring one of our green pin shackles, please don't hesitate to contact us, our dedicated customer service team will be happy to help.